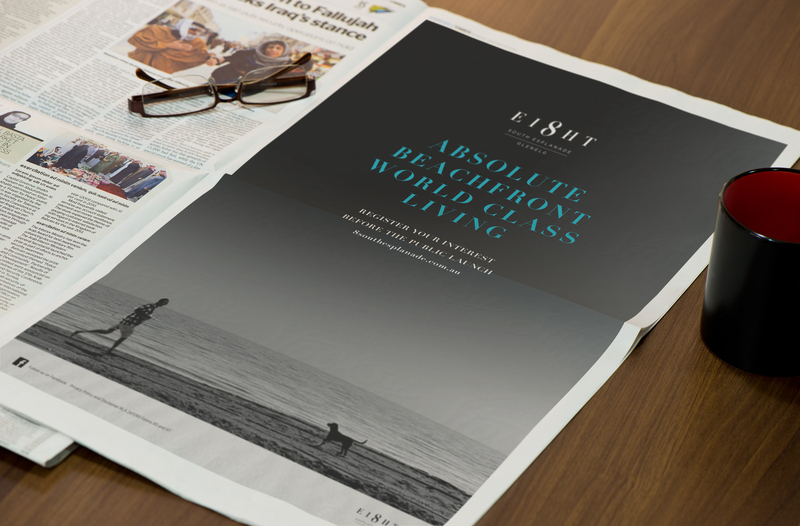 World-class residences for one of the most prestigious addresses. South Australia has never really seen an apartment building quite like ‘EI8HT’. 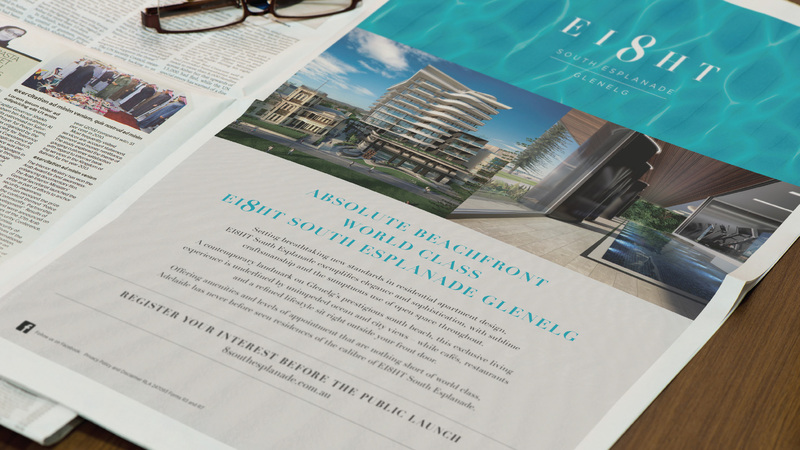 A joint venture between Chasecrown and Medallion Homes, sitting on Glenelg’s prestigious South Esplanade, every aspect of this project was to be world-class – including the suite of sales and marketing materials. 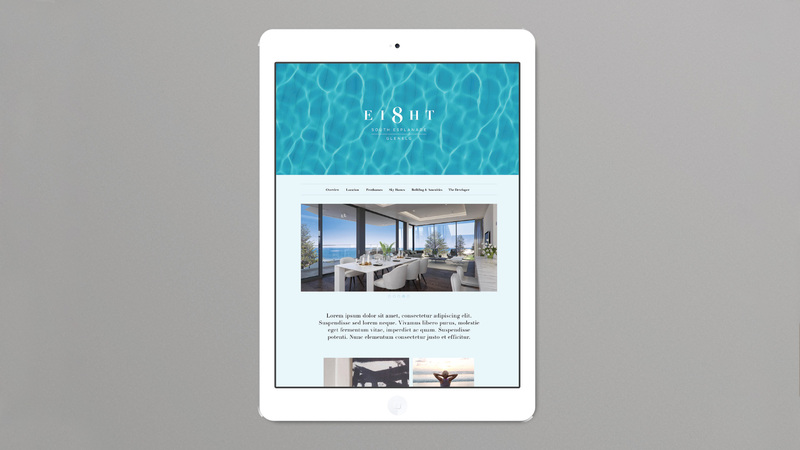 Hybrid produced all aspects of the project’s marketing – including naming and the brand strategy; design of the brand identity and its roll-out across all manner of print and marketing collateral, hoarding and signage; along with the design and production of the sales centre. All but one of the residences had been sold prior to the launch night. 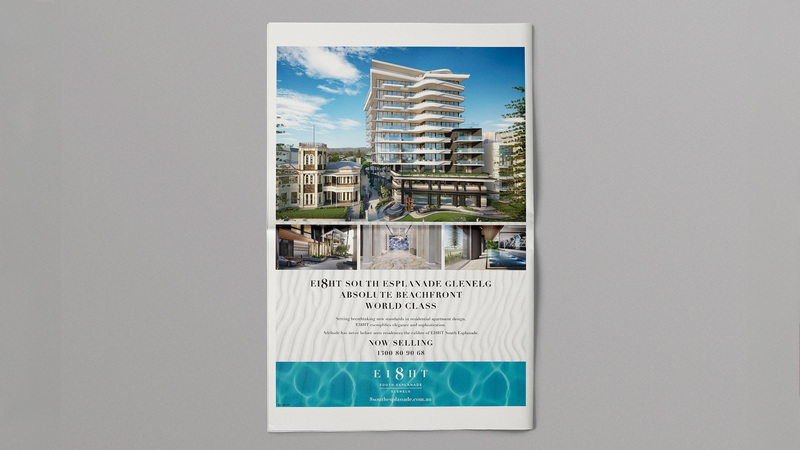 At the event, each new owner noted asked for two copies of the brochure – one for themselves to keep, and one that would stay with the residence, to be handed over to its next owners.